Dallas Personal Trainer - A very high level personal trainer exercise that takes a massive amount of ab strength to perform properly. It is critically important that you learn to perform Hanging One-leg Raises for multiple reps with perfect form before even considering attempting this more advanced exercise. 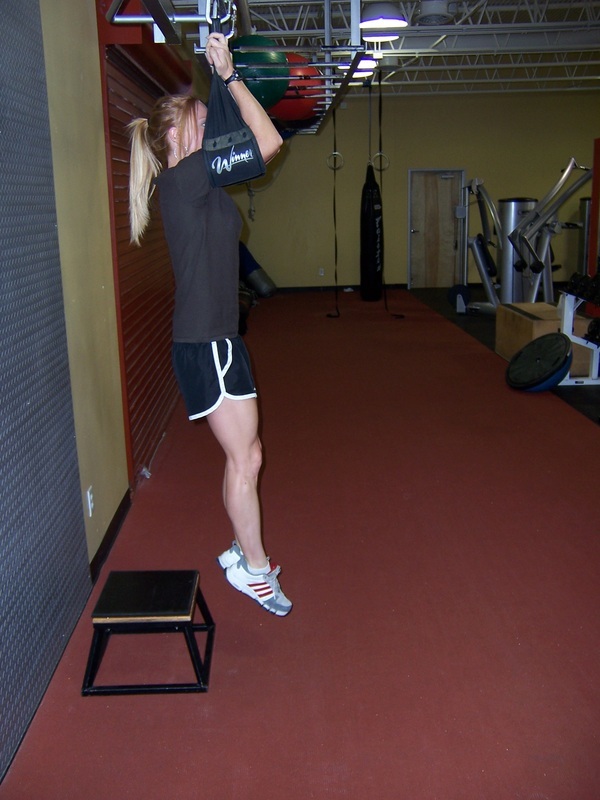 These are performed exactly the same way as Hanging Knee Raises, except they are performed with straight legs and are therefore much more difficult. When these become too easy for the number of reps specified by your workout, place a dumbbell between your ankles for added resistance.